Gets, repairs, surprises and GA postage payment! Okay, first thing! The Squawky Talky Lugia GA postage payment! And lastly, sometimes things are just meant to be... A few days ago my Mum was got a midnight Freecycle email for her local area, and noticed one of the items listed was "Pokemon Bird". She clicked on it and found that the poster was giving away an unused Electronic Lugia with damaged box. She told me, laughing, thinking I would find it funny. I begged her to reply to the Freecycler, I thought that there were so many members here who would love to own one (myself included) IF he was still available. The ad had been posted at 4pm and it was now midnight! Eight hours of people reading the ads, he was surely gone... I went to bed and held no hope of even getting a reply. Hello all! SK here looking for some Bulbs. This Takara Tomy Ivysaur figure. 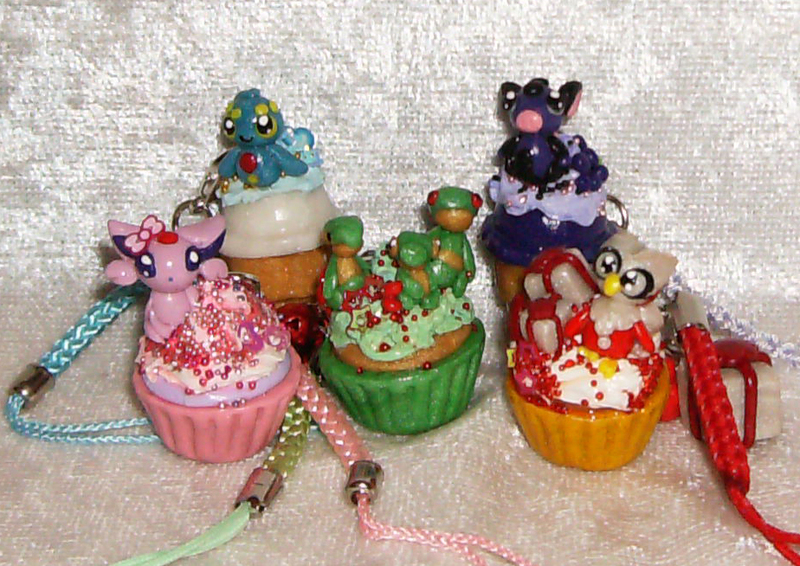 Any of the Bulba line charms, except the National Dex Bulbasaur and Ivysaur. Especially want Venusaurs. Someone on a website I frequent just posted a picture of the new South Center Mall Pokemon Center. Note how it has a slightly different stock then Northgate and possibly Tacoma Mall (haven't been to Tacoma recently but they've always had the same stock as Northgate.) 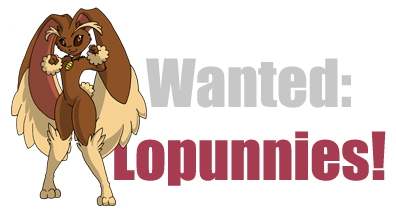 I'm planning on going in tomorrow and picking up Eevee, Umbreon, and possibly Victini for my collection. Just a heads up for anyone in the Seattle area who gets their plushies from the kiosks. I also take no credit for the picture. Hello everyone! I joined in October with a rather small collection of Gastrodon and Shellos and since then I've bought from the community and from other sources to expand my collection quite a bit! Apologies if the pictures turn out fuzzy or anything since I only have my phone as a camera. 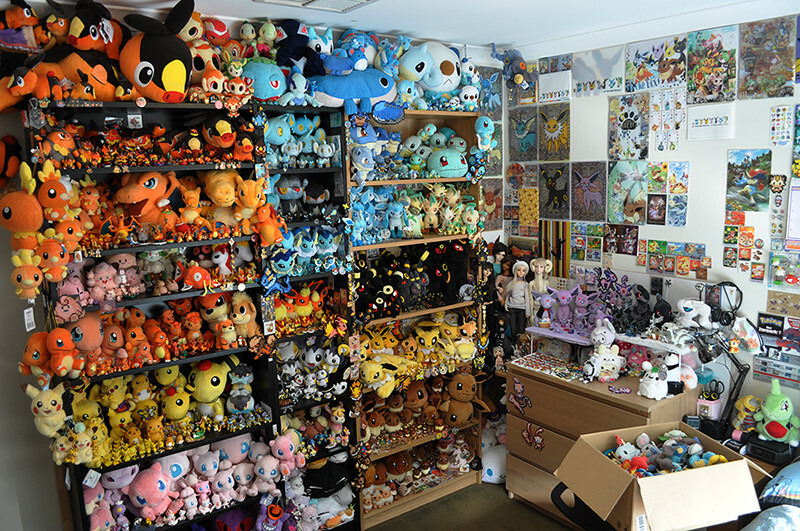 Hi everyone been wanting to post the new editions to collections but my GF has wrapped them beautifully for Christmas so just a plushie win, from japan, post for now until Christmas then I will be able to show the full collection :) . Unfortunate news for me good for LJ pkmn members my buddy currently stationed in Japan managed to get some Eevevolutions canvas ,I said one set he may have gotten me 2 or more ,so I maybe over runned with these adorable guys . . . I don't like being selfish so doubles will be sold on ebay for a great reasonable (low) price :) But to the lot win I really just wanted it for the Latias you see there I love that pokemon but noppin is a bit pricey may change to from Japan from now on . really I love the whole lot ! Metal Figure GA Payment 1 due! Please look out for my comment on the original group auction page (which you can get to by clicking the picture above)! I can't help it anymore. My little "Mocha" in Black 2 is dizzy-punching her way through all opponents and into my heart...! 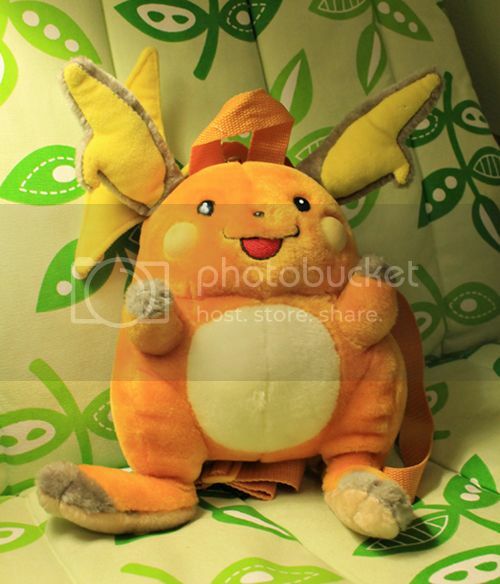 Question about this Dragonite plush? 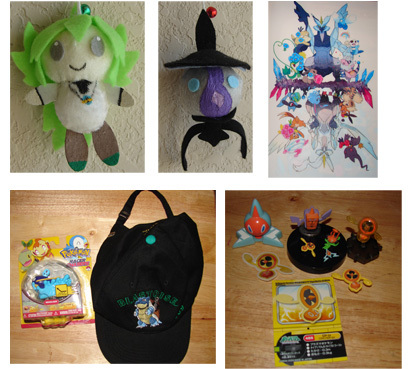 Plus Meloetta and Glaceon Pokedolls for sale! He looks really cute, and I can't wait to get him! He was for such a good pirice that I just decided to get him too. 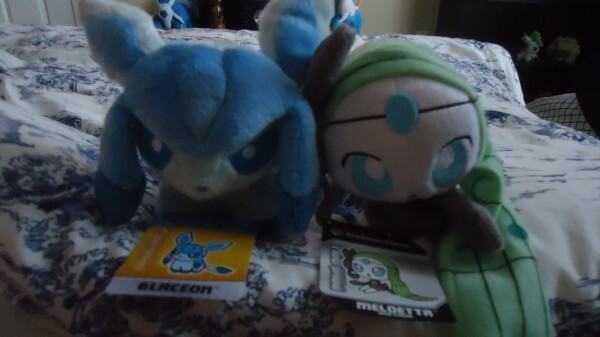 Also I'm selling a minky meloetta (aria forme) pokedoll and a minky glaceon pokedoll U.S versions. I got them in a pick-up from someone who got them from the kiosks :) They have their hang-tags and tush-tags but the hang-tags are detached. They are in great condition. Was granted sales permision by entirelycliched in March. 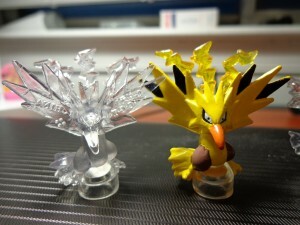 They are each $20 shipped to the US only. I can ship worldwide but you may have to pay customs fees as I'm not comfortable paying outside the US yet. Hello, guys. I know many of you have got stucked with the technical issue related to the feedback system. Good new is they have been FIXED! Now it is the time to check your spreadsheet of awaiting feedback, and go to return the favor. With that said, I have missed a lot of feedback recently due to the group auctions I hosted in a row. If you are waiting for my feedback, please drop me a PM and I will be very glad to leave you some. Zapdos and Moltres clear FCS! They look so gorgeous lined up with their painted siblings. 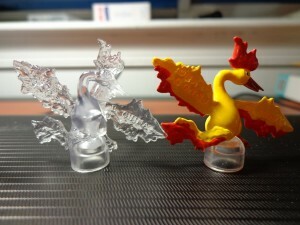 From the insert included I can tell there should be an Articuno being made. Arghaa, I am so excited to get the left one. If you bump to see it in your back-to-school lot, please drop me a comment and I would like to pay for it. Or I can trade for it with any item in my sales post. Thanks for your reading. See ya next time. Clearing out some stuff I've had lying around for so long, I don't even remember when I got my hands on them. Included are auctions for a couple of premade bell plush I've held on to for months, the beginning of some collection weeding, and items I don't know the worth of (after all, what's a better way to gague pricing than to just take offers on them?). And for the usual disclaimer, my sales permission was grandfathered in at the beginning of time- er, 2007! I've added some items for straight sale in my sales post, and you're welcome to combine items in there with auctions! 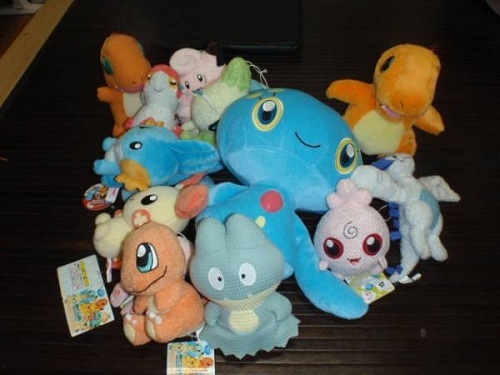 I won a Corsola Pokedoll- was this a good price? I remember seeing a picture of this hat a long time ago (before Zoroark's movie even came out in Japan I believe, so 2010-ish?) and I've had it saved on my iPod ever since XD But I only recently thought to ask you guys what you know about it. It's a really cool hat, I'd like to own it, but I've never seen it for sale. Thank you for sitting through my recent purchases with me. Hey everyone! It's been awhile since I've posted. I was kind of hoping to turn this into both an informational post and a collection update - but I think I'm going to skip the latter because this post is going to end up being fairly long I fear. So, what is this post going to be about? Well, only the biggest sensation of the season! EEVEES! I haven't seen this having been done yet so I figured I had the plush and the time - why not? 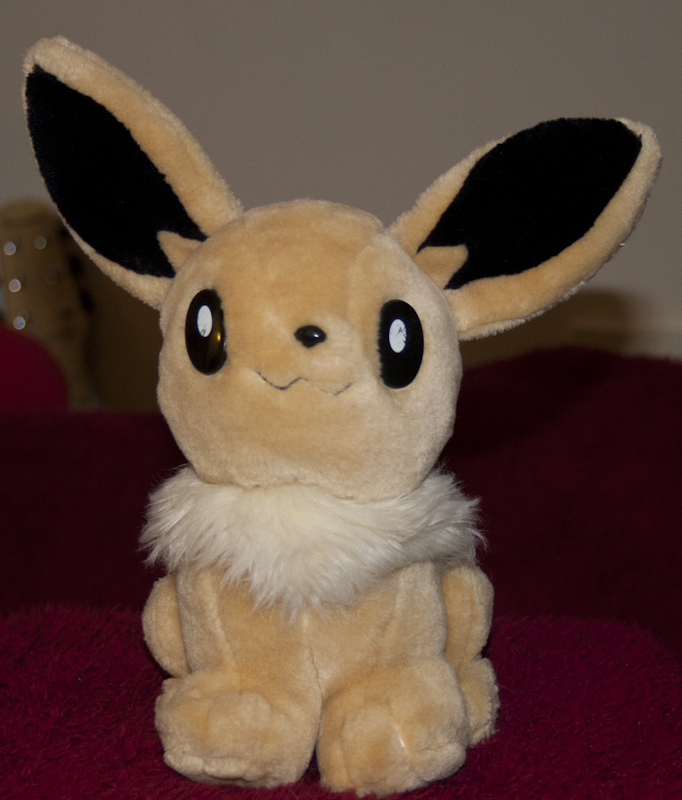 From tags to tails, I'm going to give you guys some general comparisons of the two new sets of Eevee plush - comparing and contrasting them so any of you guys on the fence of buying on or the other just might be able to choose better and giving some helpful tips along the way or just for any of those who like seeing the ins and outs of some high quality plush. So, lets get started! Alright, I am trying to raise money for the holidays. So I'm selling part of my collection. 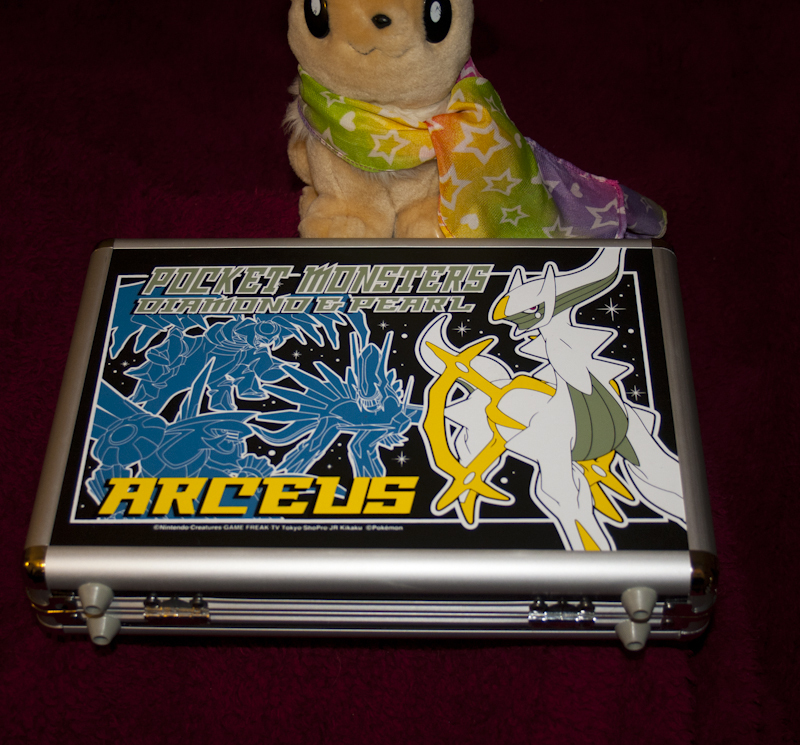 I also have a few best offers available that will be up until December 12th including this Raichu Backpack. 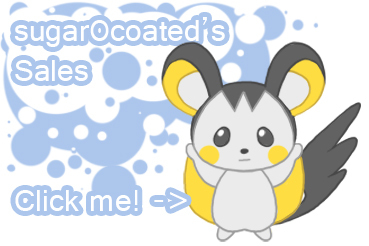 I also lowered the prices of a few pokemon I was selling in my last sales post. First of all, if you have bought something from me before Wednesday, I have shipped your package =) I *think* I have remembered to reply to you all individually. I made two post office trips, first on Monday then on Wednesday. Combined postage cost of $121.45 AUD for everything *w*;;; Oh gawd.Haha. I'm going to have to do one more post office trip since I'm waiting for one person to pay for their auction winning and I'm waiting on reply from a couple of enquiries on my sales. I'm most lilkely going to go on Wednesday if everyone has paid by then. Plans: Aside from shinanigans with pokemon toys in poses, it has been suggested we go to Tom Turtle, however I think if it's super busy or closed or whatever else, we'll find somewhere else. I thought that if it is dry and not too hot we could all go and chill picnic-style somewhere grassy, but if it IS too hot etc. there is a little indoor garden area right at the top of Melbourne Central we could go to hang out at? Been waiting to do an update ever since the eevee evolutions has made its way here and now the other two just arrived wanted to show my entire pokemon room update. New here, hope I am doing this right ^_^"
I also have a small wishlist of things maybe someone might be able to help with?